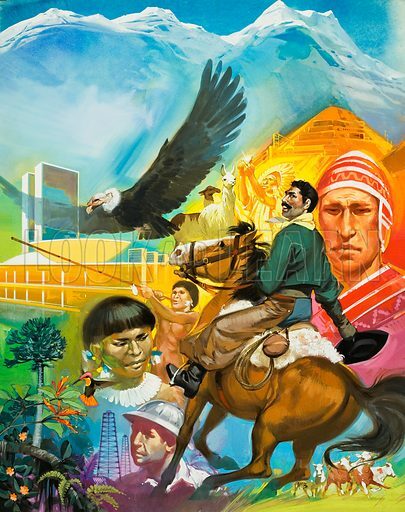 The Story of South America. Original artwork for cover of Look and Learn issue no 433 (2 May 1970). Lent for scanning by The Gallery of Illustration. Available worldwide for immediate download up to 3,556 x 4,500 pixels.